We are asking all families to please donate the following items to your classroom. Please know that this is a request and not a requirement, anything you can contribute will be appreciated. These items will be left at school and shared with our entire class. We thank you so much for all of your help and support! Congratulations to your child on completing Kindergarten! To get ready for the big move to 1st grade, below are suggested items you may purchase. We look forward to working with your child next year. Have a great summer! Please do not send binders or pencil boxes with your child. These are often too bulky to fit inside your child’s desk. Welcome to fourth grade at Plavan Elementary School. As we begin our year together, we anticipate a busy and productive time in fourth grade. The Fourth Grade team will be working to provide a variety of learning experiences for your child as they progress through the Fourth Grade year. We welcome each family as a partner in the fourth grade program. To ensure success, communication is important. To help the students be prepared for class each day and become more organized, they are requested to have the following materials in class. Please do not bring other materials (ex. tape, ruler, stapler…) that are not on the list; sadly there is just not enough room in the desk. We are dedicated to making this a successful year for all the students. Please return all notices, paper, emergency cards, and signatures promptly. 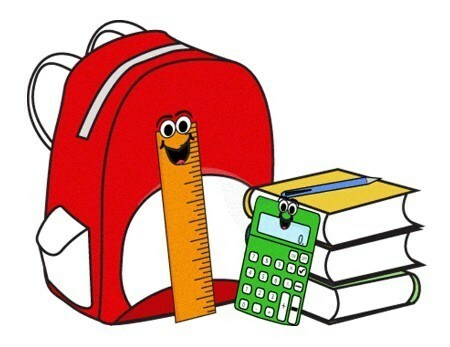 During “Back to School” night we will explain in further details our standards, procedures, and exciting curriculum. We look forward to working with your child this year and meeting you soon! These are the supplies that we SUGGEST your upcoming 5th grader should come with during the first week of school. These materials will help the students be prepared for class each day and become more organized & responsible.